- SXSW Send Off Party (night one) featuring Thunders, TafkaVince & the Nuclear Power Pants and The Teaparty at Reggie's - All door sales and a portion of bar sales will go toward the bands' trips to South by Southwest in Austin. 7 p.m.,$7, 21 and over. More info and tickets. 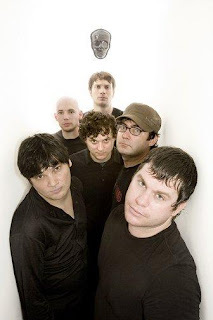 - ...And You Will Know Us by the Trail of Dead with Funeral Party and Midnight Masses at Logan Square Auditorium - Last month the Austin-based art rockers released their sixth album, "The Century of Self." Catch them Friday at their only Chicago gig on their world tour to promote the album. 8 p.m., $15, all ages. More info and tickets. - SXSW Send Off Party (night two) featuring Blueblood, Chaperone, Invade Rome, The Last Good Year and Orphans at Reggie's - The second installment of Reggie's SXSW send-off celebration, featuring an assortment of Midwestern bands worth checking out. 7 p.m.,$7, 21 and over. More info and tickets. - Tapes 'n Tapes with Wild Light at Metro - Taking cues from classic bands such as Pixies and Pavement, Minneapolis band Tapes 'n Tapes play jittery rock with a taste for experimentation. Doors 8 p.m., show 9 p.m., $16, 18 and over. More info and tickets. - The Blamers at Miska's Venue - The local indie folk rock group will celebrate their one year anniversary with this show. The band is currently finishing up their debut EP, and you can get a sample of their sound on their MySpace site. 9 p.m., free show. More info.